Editor’s note: Communal Table is a forum for amplifying first-person voices in the food industry. Our goal is to work long term with leaders to create more humane and sustainable workplaces. We encourage restaurant and bar workers and owners to write in and share their experiences here: kat.kinsman@meredith.com. Have ideas about how to make the industry a safer, better, more sustainable place to work? Please share them, too. We’ll edit and post some entries to foodandwine.com. 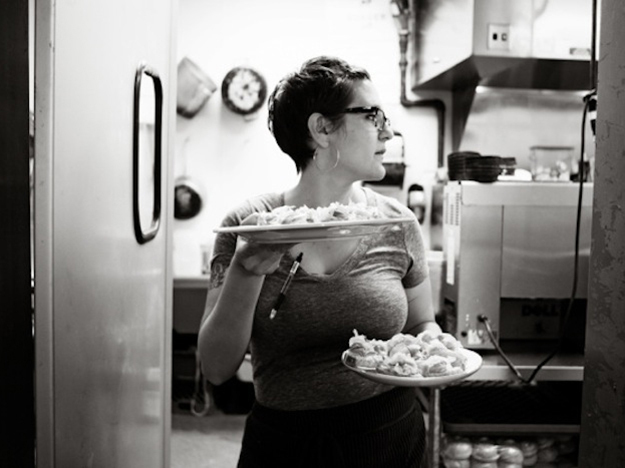 Kelly English cooks at Restaurant Iris and The Second Line in Memphis, TN and Magnolia House in Biloxi, MS. He really likes doing that and wouldn't want to do anything else. Sometimes people say nice things about him and his food and they occasionally print it in magazines, like Food & Wine when they named him a Best New Chef in 2009. In our restaurant group we have made an agreement with Sweetgrass, another restaurant here in Memphis, to give a gift certificate to each other’s employees who vote, to encourage our communities and to give them a place to go that isn’t where they work. Make sure the people you work with know this is their (sometimes first) opportunity to feel seen and to be part of a huge decision. Encourage them to share their thoughts with a vote the same way they share their culture with your team to make it stronger. These types of sharing and strength are no different from each other. Tell your teams that they are you, and you are going to vote.